It has been two years since we first discovered Rosie Tatchell, the talented and inspiring young still-life artist who will be launching her first London solo exhibition, ‘Life, Light and Reflections’ this November. Rosie’s love of art was an early revelation keenly nurtured by her artistic parents. Her father, an award winning photographer, has had several images exhibited with Wildlife Photographer of the Year and her mother, a fellow painter, has also exhibited in London. 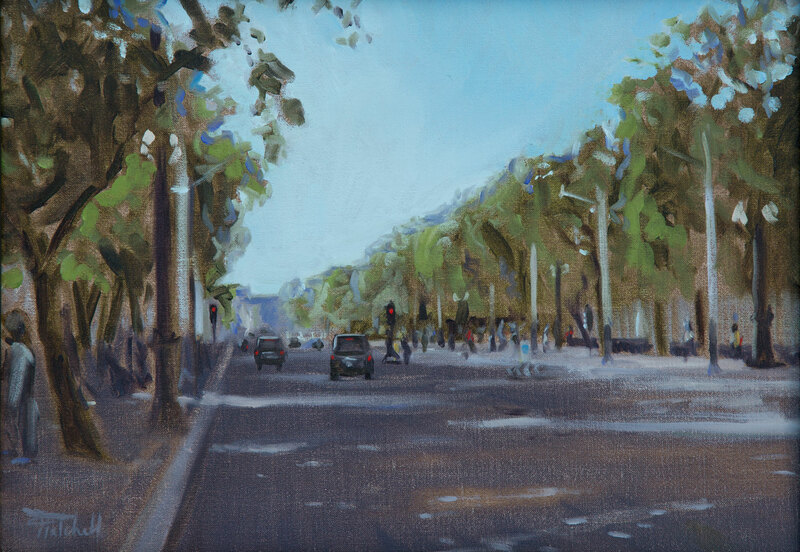 On the recommendation of several teachers and family friends, Rosie moved to Florence where she studied portrait and still-life painting at Charles H. Cecil studios from 2008 to 2011. This acclaimed school is one of only a handful worldwide teaching traditional methods of painting in oil. A widely celebrated artist in her home town, Rosie receives regular commissions for portraits, dog portraits and still-lifes. 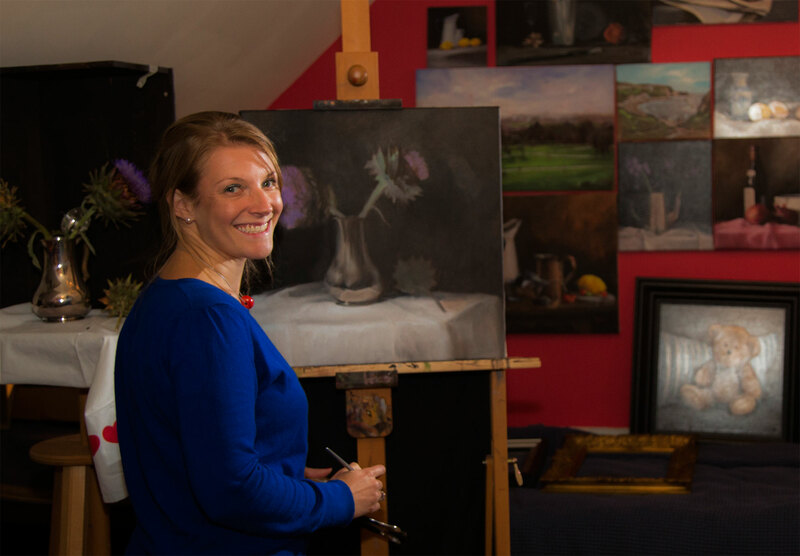 With many of her paintings now adorning the walls of enthusiastic art lovers across the Blackmore Vale, Rosie felt it was time to leave Dorset and explore a different aspect of her creative talent. London, a vibrant city infused with creative vitality and rich in cultural heritage was the perfect platform from which to embark on this new chapter of her life. 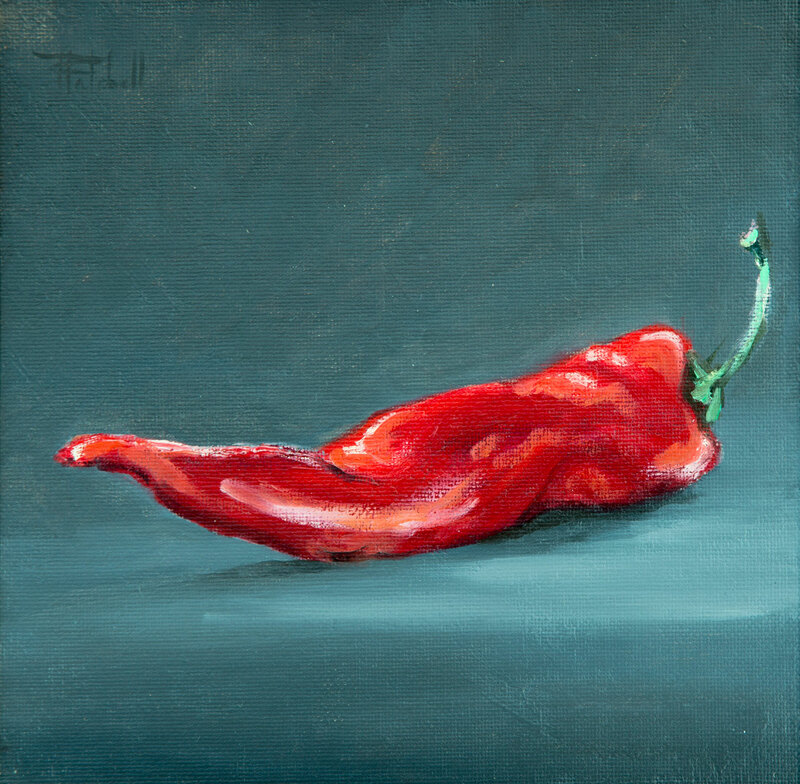 Rosie’s main focus for this exhibition is her stunning still-lifes. All painted from life and using the highest quality materials, she has produced a stunning range of atmospheric pieces of art that excite the senses and enrich the soul. 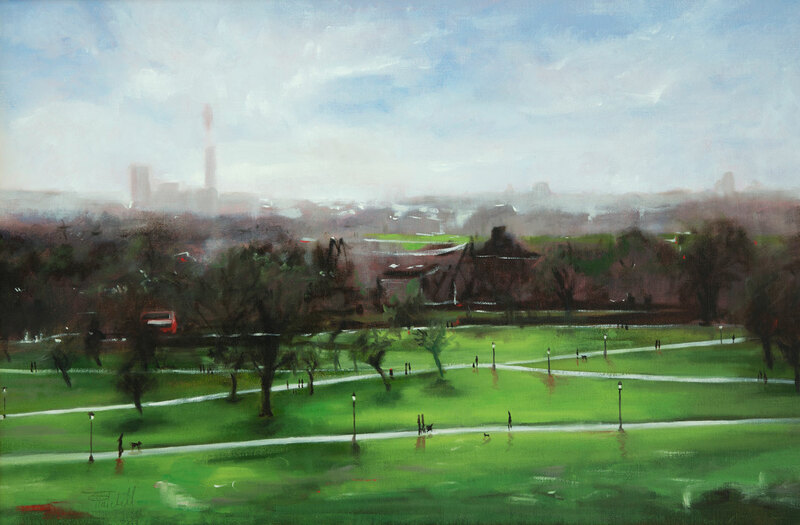 Accompanying these still-life paintings are also a number of breath-taking landscapes of renowned London parks. Commenting on her exhibition Rosie 29 said: “The opportunity to select, compose and paint my own subject matter for this exhibition has been an exhilarating experience. It was also very important for me to find the perfect space to exhibit my art in the heart of London, which I am very fortunate to have discovered with Gallery Different”. The exhibition, open to the public from 9th – 14th November, will feature a collection of quintessentially British still-life scenes. 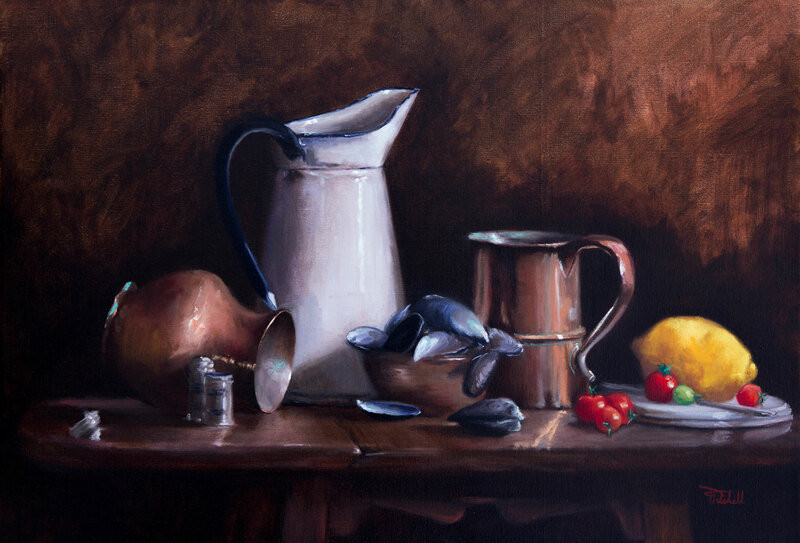 Her manipulation of reflective surfaces in her paintings, embody her still-lifes with a new layer of depth and perspective we rarely appreciate in our day to day lives. Bold colours and carefully positioned contours draw your focus into the heart of the painting and encourage you to explore the curves and hidden depths of her unique compositions.